Doing any sort of home remodel is both an exciting and stressful time. We understand this because we work with people doing remodels everyday. There are things to do in the beginning of the planning stages to keep the stress level of a remodel down, and the excitement level high. You are getting to design your new kitchen, the center of your house, and let us help you make this dream a reality by keeping in mind these simple things. Although they may seem small, it can make a big difference on your budget and experience with your new kitchen. Keep in mind your workflow. How you work in your kitchen, your process, and how you need your kitchen to be laid out. This is important because if you always chop veggies and then want to throw them into a pan – it wouldn’t make sense for those to be on opposite sides of the kitchen. Or if you always make your kid’s lunches then grab a plastic baggie to put it in, keep in mind the things you use so that they can be near each other. Don’t give up counter space. Are your contractors telling you about the extra sink that would be nice to have..but it would eat up more of your counter space? It sounds nice, but in reality, you can never have enough counter space. For decorations, for group cooking, for not feeling cramped. Live by: you can never have enough space. Your budget. This seems easy – but when you are looking at every piece and every upgrade you can do. Make sure to keep your budget in mind, this may mean compromising on some stuff so you can get things that are important to you done. Don’t Forget about the big picture. 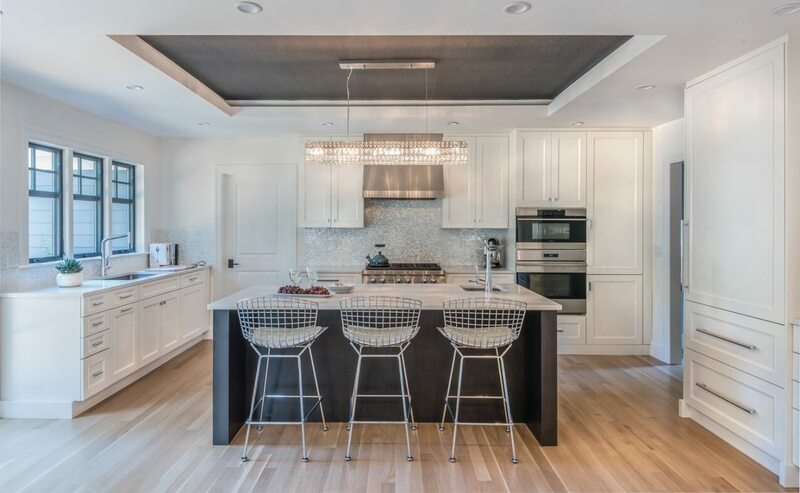 Let’s say for example, you love dark brown wood, but really want a checkered back splash – they both sound beautiful. But would they look beautiful together? Something to keep in mind, how your whole kitchen will go and flow together. Letting the contractor decide. Sometimes during a remodel, it gets overwhelming and you are sick of it. It seems easy to let the contractors decide because they do it all the time, but you’re the one who is paying them and you’re the one who has to live in the kitchen. Have your plan laid out and stick to it. Changing your mind is one of the biggest expenses in a remodel because the 6 inches you want to move the island over could cost easily upwards in the thousands, because of the flooring, labor, time, and everything in between. Have confidence in what you chose because you imagined the big picture, not the small inches. Do your research before. There are so many options with a kitchen- counter tops, cabinets, placement of things, but if you do your research before you can stick to the plan. By keeping in mind small details about your kitchen remodel it will ensure that the process goes smoothly. If you have questions about your new remodel, or want to talk to one of our professionals – give us a call at or visit our website. You can also go into our kitchen center in Framingham, MA.